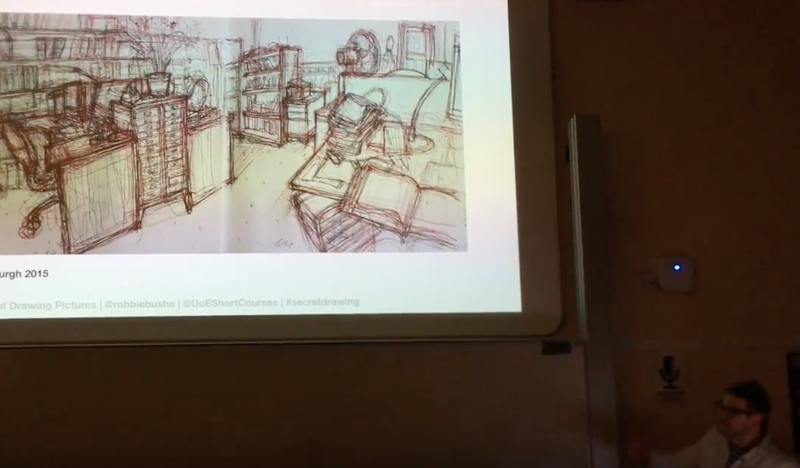 In February 2018, I gave this Open Lecture as part of the University of Edinburgh’s Centre for Open Learning Programme. Can the intimacy of the thumbnail sketch, raw and untethered reveal secret thoughts and hidden meaning? Artist and Lecturer Robbie Bushe deconstructs both his own and his heroes’ pictorial drawings and paintings and retraces their roots in early doodles and sketches.